Sales are the life-blood of your accessories business. You know that, but gezz, researching, building and verifying a quality fashion buyer list is time consuming. We know, it’s what we do. The editors at WeConnectFashion have been the go-to source for fashion industry contact lists since 1998. Marketing to your prospective buyers is necessary. Having a fine-tuned curated list of accessories’ buyers is key. Make pre-market retail appointments, connect with buyers throughout the year when open-to-buy dollars are available. It’s all about the list! Verified and compiled by WCF editors. 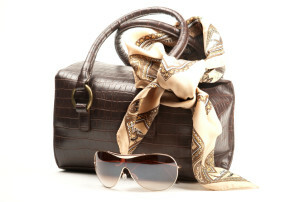 Reach a targeted group of fashion buyers with a quality list of women’s high-end accessories buyers. You choose 400 or 900 contact names, $350 or $775. Who are responsible for selecting: women’s, missy, and juniors accessories. Buyers who purchase women’s fashion accessories: costume jewelry, bridge jewelry, handbags, small leather goods, belts, totes, hats & caps, millinery, scarves, shawls and wraps, gloves, seasonal accessories, and sunglasses. This list combines all accessories categories. Retailers whose price points include: better contemporary, bridge, and designer level stores. Receive a range of retailer types at: department store, top boutiques, jewelers, specialty chain stores, as well as catalog and online accessories retailers in the USA. Description: Womens Fashion Accessories, Handbags, SMLGs, Seasonal Accessories. Approx 38 stores. All information in our database is updated every 6 months to guarantee you have the most up-to-date info as possible. Please understand that information can change rapidly and we do our best to catch as much unforeseen movement as we can. Sometimes list mistakes happen, which is why we also put extra contacts on your order just incase. This list carries our guarantee of your total unlimited use for 1 full year. We understand how important it is for you to meet your goals and giving you a successful list is a top priority.